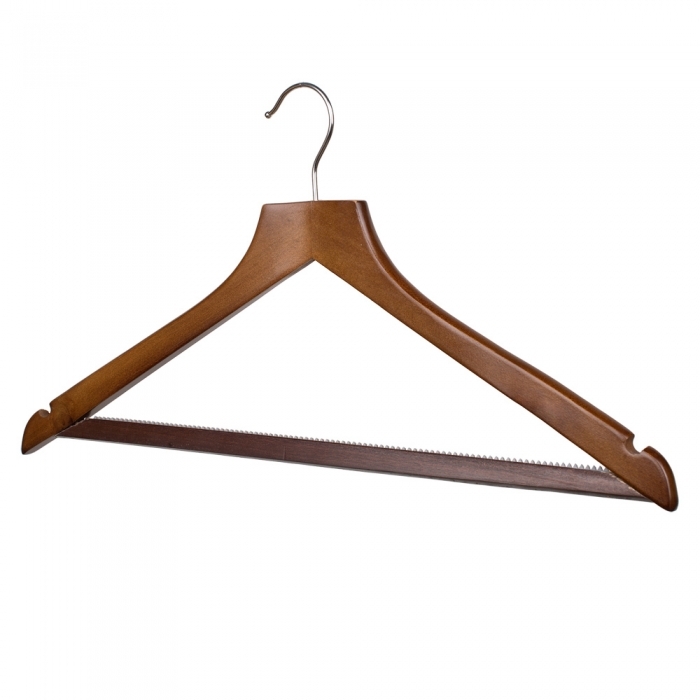 Shaped Wishbone Style Wooden Hangers in a dark wooden finish. 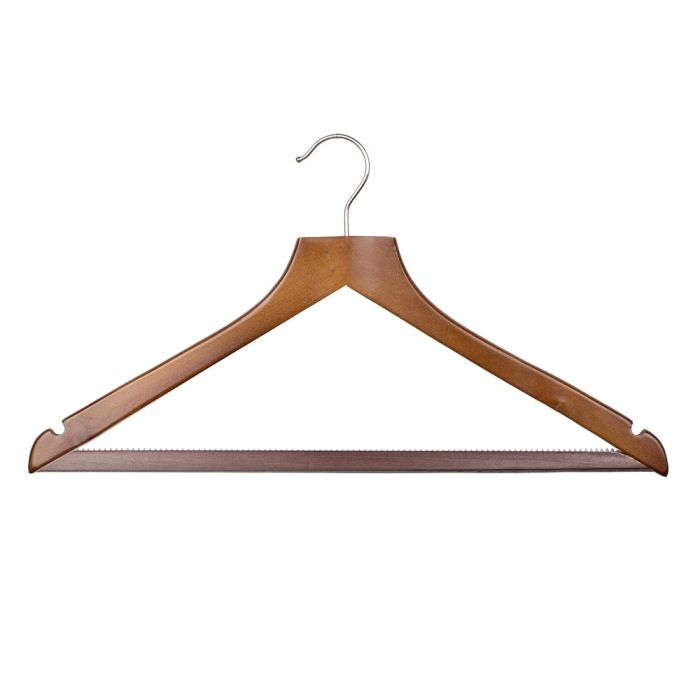 This hanger is available with a chrome hook and non slip centre bar. 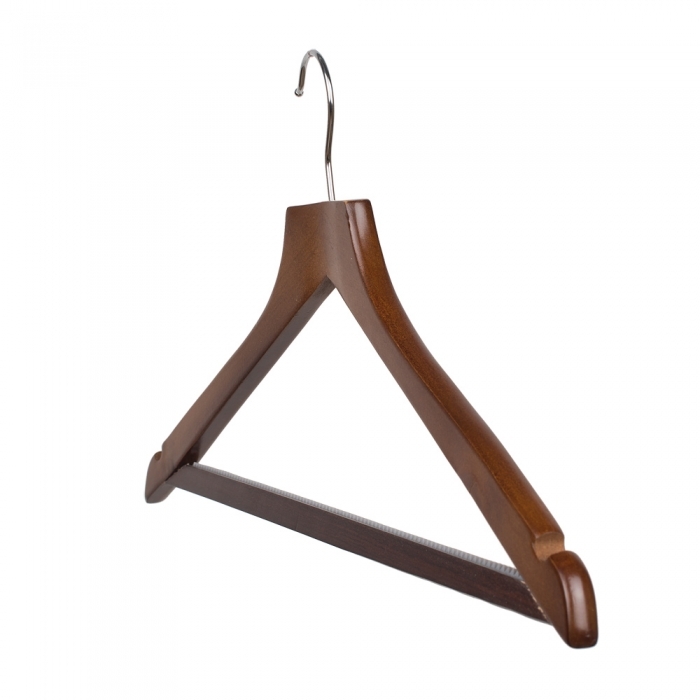 This hanger is 45cm (450mm) wide. Sold as a box of 50 hangers. Perfect for the retail environment and sold to retailers throughout the UK and equally suited to the home.